I don't think there's much to say about J.A. Seazer.Member of the Tokyo Kid Brothers and Shuji Terayama's Tenjosajiki Theatre ,collaborated with many Japanese pioneers of experimental/psych music(Kan Mikami/Keiji Haino/Ike Reiko,etc).Actually all his works are music for Tenjjosajiko performances and animated films(magna? ).Mote there are also included in this package :Sailbraiking LP (1976/soundrack for performance),Electric Bulb Ammonite LP(no infos found,any help will be appreciated) and a LP with Japanese title which i do not understand:). I know this is a very big post bit it's worth it! The most difficult post for me till now....there are 5 hours now i was trying to find pictures and infos....most of them were in Japanese unfortunately.I would appreciate any extra infos, thanks in advance. 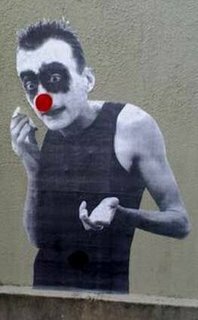 Enjoy the wierdness of Mr. J. A SEAZER! Thanks so much for the J.A. Seazer! Wow, incredible! This a massive post and the music is quite varied. 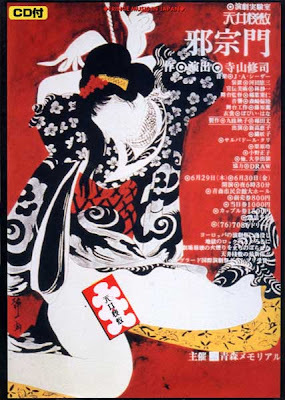 But the early theatrical pieces are pretty opaque if you're not fluent in Japanese. A libretto would be nice, but one probably doesn't exist. Kudos for uploading so much material on one artist. One really gets a sense of Seazer's growth and lyrical concerns as the music progresses. me think real good. thank yew so much. Cujos! Have been trying to buy a few of these titles on CD, but haven't been able to find them. Man, this looks absolutely great! I've been beggin' for some Seazer, but this has totally exceeded all of my expectations! Unfortunately my computer overheated so all I can do now is surf at the public library without downloading anything. I hope this link is still working once my computer's fixed! Until then I'll just drool over the covers some more... You've posted some Ceasar albums that I didn't even know existed! Finally got to download all of the Seazer, now I just have to listen and absorb them! Thanks again for taking the time to post all of this. Being exposed to this much Seazer is really a dream for me. I have heard Heresy and Kokko Junreika (sp?) before and was mightily moved, so I am looking forward to this weekend when I will have enough free time to listen to the rest. I do have a slight question about part 6, though, as I tried downloading it twice but both times the first song off Sealbreaking was labeled "corrupt." Did anyone else have this problem? Thanks so much. Great to catch up on more Ceasar albums! 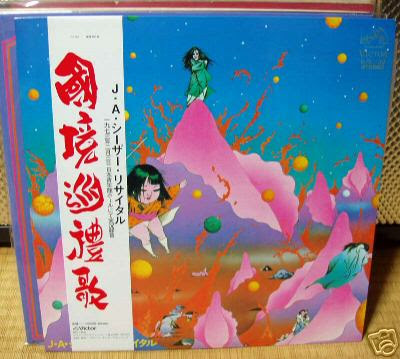 The one that you couldn't figure out the Japanese for is called "Shintokumaru" from 1978. There's some info and pics floating around on the net. I know you posted them nearly a month ago, but I just want to say thanks again for the Seazer albums. You site has tons of great stuff, but for me at least, these Seazer albums have been the post that I've enjoyed most. For the past four weeks I've been listening to them daily, and all the parts that seemed so foreign and inaccessible at first now sound freakin' great. Here is how I would rate them - 1. Herasy 2. Ship of Fools 3. Kyokko Junreika 4. Death in the Country 5. Shintokumaro 6.Electric Light Bulb 7. Lemming 8. Sealbreaking 9. Rebolutionary Girl Utne (This is the only one that hasn't really grabbed me.) Anyway, I just wanted to say thanks again for this epic post. You rock! Thanks for the J.A. Caesar posts. Could you please tell me which numbered download is which album? I want to check out Ahobune, but have most of the others already, so I don't want to use my time downloading what I already own. Thanks! Thanks for providing links to these excellent albums. I know this was a long time ago, but I would like to try to explain J.A. Seazer's work in the context of Revolutionary Girl Utena. Utena was an animated television show in Japan in 1997 that was later adapted into an animated film in 1999. The first point that must be realized is that the music was not all composed by J.A. Seazer. Half of the music was background music to the show and the other half was music for the fight scenes (and there were a few pop songs thrown in for the opening and ending credits). J.A. Seazer only did the fight music. Someone named Shinkichi Mitsumune did the background music. Their styles are fairly distinct, so it should be easy to tell the difference. However a good rule of thumb is if it's just instrumental then it's Mitsumune's, if there are vocals then it is J.A. Seazer's work. 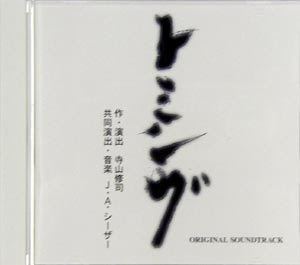 Therefore, in the OST 3 that MutantSounds provided, only Tracks 2, 7, 11, 15, 17, 21, 24, 27, 30, and 31 are composed by J.A. Seazer. Wait, don't stop reading! There are actually 8 CDs based on Utena. OST 7 and OST 4 are filled with ALL J.A. Seazer songs and are therefore the best. I personally like OST 7 better, as it is more experimental and more Seazer-like. They are both good. But OST 4 is readily available as it has been released in America! You can find it here. OST 1 and OST 2 and OST 8 have been released in America also. OST 2: Tracks 2, 3, 4, 5, 6, 7, and 25 are by J.A. Seazer. I also enjoy the songs by Shinkichi Mitsumune, but if you're purely an experimental/progressive rock fan, you probably won't enjoy those tracks as much. This is the ONLY blog with Seazer's discography and please will someone help me with the password. I can't seem to find it! J.A. Seazer brilliant ! Thank's for posting these Albums I have wanted to hear them for ages. You are a diamond. domo arigato gozaimasu! Cheers answer to a prayer! does anyone know if this has the Emperor Tomato Ketchup OST? Hi, this is a wonderful post which introduces me to the work of J.A. Seazer. For those who like the Utena OST, they can all be found here. Amazing, even not understanding any Japanese the voices are so expressive you just keep listening. Maybe this helps: The name of the album in Japanese seems to be "Deruta - Ipushiron", which means "Delta - Epsilon". The problem with that one is that characters are not even Japanese but seems to be mixed with garbage, so it's hard to guess the meaning. desperately want "death in the country". thanks for posting. when i downloaded, though, the 1st half of the files had errors. would a re-up be possible? 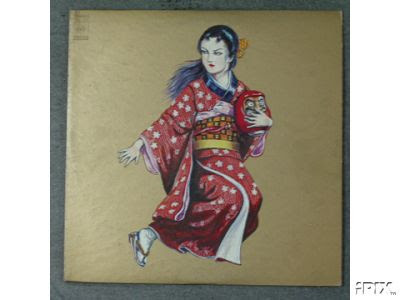 Nothing to add, I'm just getting a kick out of the fact that I can see the tatami in my old house in Japan, as the Kokkyoujunreika LP photo is from one of my old eBay auctions. Seazer rules. Be sure to grab the 5CD (or 6CD if you're lucky) box set of unreleased stuff that came out. It's out of print, but I am sure someone has ripped it. It's stunning. How difficult is it to sort guys? MS added some value, now if as you say it is so little thing to sort it, add now some value yourself, sort it and upload it. You see? We all contribute a bit instead of moaning in front of a gift, and we all win. Just as magical. Somebody please let me know if you find any info on the album, "Electric Bulb Ammonite"! I love the sound and Im interested in knowing when it was made and if JA Seazer has more albums like this(as many of the Utena duel songs sound similar to this and I think its genius). Id love to buy a copy in better quality and upload it for ya'll but I need more info because its hard to search for(the title is obviously a translation of the Japanese title). Having the actual Japanese characters is helpful in copy and paste google searching. The album is released under 万有引力　[ ban'yu-inryoku ]. Kokkyou Junreika and Jasumon are on Amazon mp3 for 8$ at higher bitrate. Man, I just cannot thank you enough! Great, fantastic post! new J.A. Seazer album coming in May. and don't forget the Vol2 collection arriving next week! i was only lookin for kokkyo 73, you are the last one posting it, so i had to take it all;) allways nice lookin for rare stuff let me find precious blogs like yours! so thanks a lot and all the best! I (and others) would be so grateful if you re-uploaded this.